Castle Drogo was designed by renowned architect Sir Edwin Lutyens for Julius Drewe, the highly successful founder of the Home and Colonial Stores. It was his wealth that enabled Lutyens to give Julius the ancestral home he had always dreamt of, whilst including all of the modern comforts a family of the early 20th century could wish for. However, the castle has suffered major structural problems ever since completion which have now resulted in serious leaks and water penetration throughout the building. 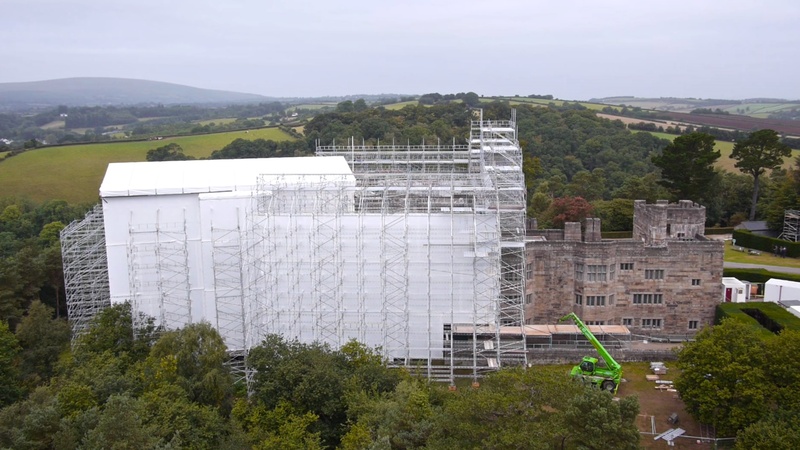 With substantial support from the Heritage Lottery Fund, Interreg European funding and donations from our supporters, the National Trust started work on the castle in 2013. The project to conserve the castle will include the renovation of the massive flat-roof structure using cutting-edge materials to make it permanently watertight. We know it will be successful. Similar conservation work took place to the chapel roof seven years ago and the chapel has not leaked since. It is conservation on a grand scale taking five years to complete. In order to install the new roof system, 2355 granite blocks weighing 680 tonnes will have to be removed and then returned. Some 900 windows containing over 13,000 panes of glass will be refurbished to stop them leaking and over 60,000 metres of pointing will need to be replaced. The castle will remain open for our visitors to explore and discover areas that were not open before the project.